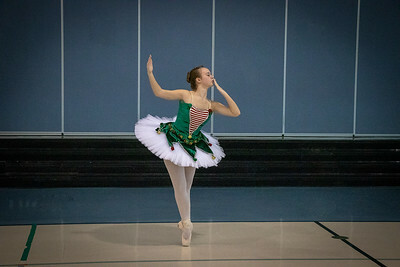 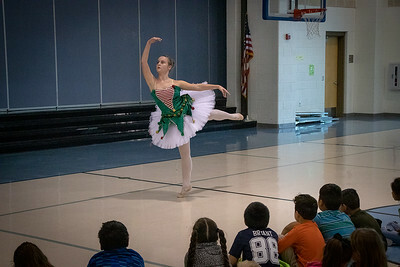 Jordyn Giffen, a former KRE student that now attends the NBHS Ninth Grade Center, performed ballet for the students at Klein Road on Dec. 7. 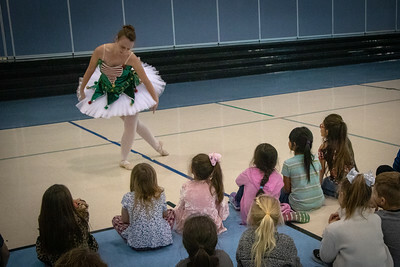 First and second graders at Klein Road Elementary were treated to a ballet presentation on Dec. 7. 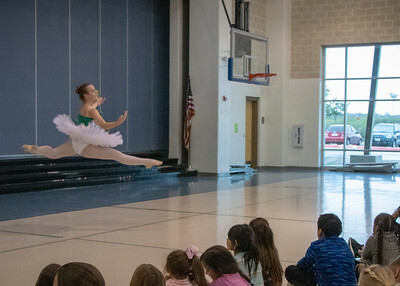 Music Teacher Cathy Clark invited Jordyn Giffen, who currently attends the 9th Grade Center and has a strong connection to Klein Road Elementary, to perform several dances for the students, including one from Swan Lake. 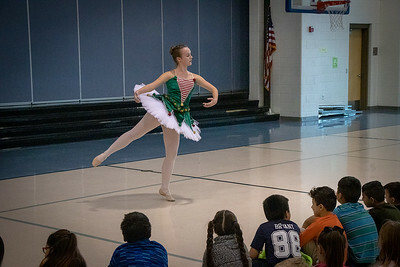 Giffen is a former student of Klein Road Elementary, and her mother, Maria Giffen, works at the school as an Instructional Aide.